'Book Club' stars Jane Fonda, Mary Steenburgen, and Candice Bergen sit down with Fandango correspondent Nikki Novak to talk the importance of having a movie with older female leads and how they keep their mojo. Looking for movie tickets? 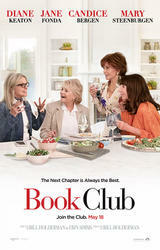 Enter your location to see which movie theaters are playing Book Club near you.